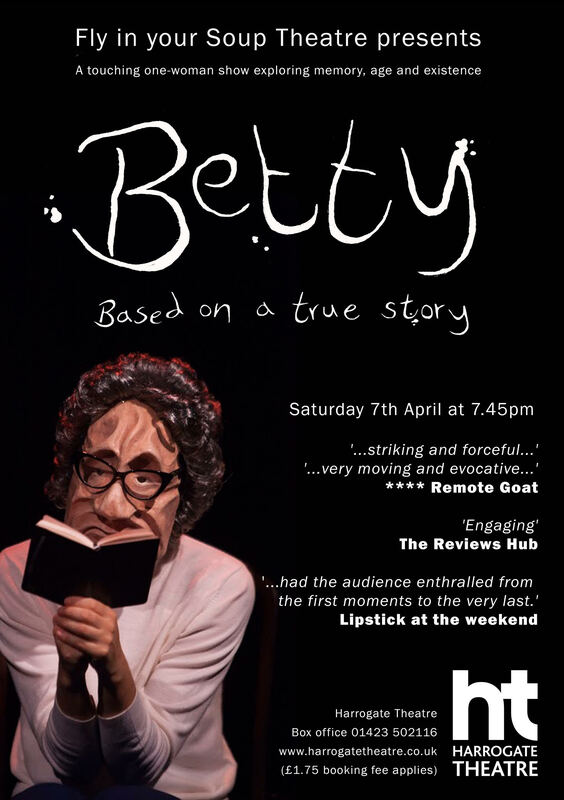 There are many different ways to tell someone’s life story and “Betty,” a play coming to Harrogate Theatre on April 7th is extraordinary. Created by a member of her family Actor Louise Henry woke one morning having had a powerful dream. It was of a old lady living alone. Like many woman of her age, the children she loved were remembered fondly in her later years. When she sat back and thought about what it meant, she was reminded of her great-grandmother, Betty Kitching. Betty was like many women in their heyday; vibrant, loving and full of life. She was married, happily living on the Yorkshire coastline in Hornsea, a mother and working at Hull’s the House of Mirelle. As she aged her memory started failing, living her twilight years in a very different way from before. The one-woman show is a journey of life, love and loss. 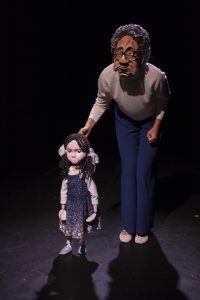 Told in a mixture of mask work, mime and puppetry, her great-granddaughter Louise Henry takes the story of “Betty” to the Yorkshire audience for the first time. Louise was inspired by a vivid dream. She developed “Betty” through a series of interviews with her grandmother, Betty’s daughter, uncovering the many layers of Betty’s life. ‘Betty’ is a poignant tale from across the generations, universal and resonant for all. 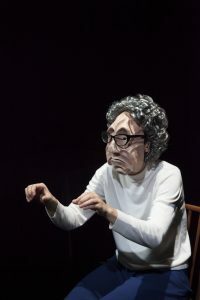 Told through a mixture of mime and puppetry, ‘Betty’ is a visually stunning performance. ‘Fly In Your Soup Theatre have done a good job of creating a piece of theatre exploring the unseen undercurrents of drama, the choices and decisions that shape our lives.’ The Reviews Hub. This is the first performance in Yorkshire and is on for one night only on Saturday 7th April. 7:45 p.m. Enjoy getting to know Betty!